Children are referred for play therapy to resolve their problems (Carmichael; 2006; Schaefer, 1993). Often, children have used up their own problem solving tools, and they misbehave, may act out at home, with friends, and at school (Landreth, 2002). Play therapy allows trained mental health practitioners who specialize in play therapy, to assess and understand children’s play. Further, play therapy is utilized to help children cope with difficult emotions and find solutions to problems (Moustakas, 1997; Reddy, Files-Hall, & Schaefer, 2005). By confronting problems in the clinical Play Therapy setting, children find healthier solutions. Play therapy allows children to change the way they think about, feel toward, and resolve their concerns (Kaugars & Russ, 2001). Even the most troubling problems can be confronted in play therapy and lasting resolutions can be discovered, rehearsed, mastered and adapted into lifelong strategies (Russ, 2004). Meta-analytic reviews of over 100 play therapy outcome studies (Bratton, Ray, Rhine, & Jones, 2005; LeBlanc & Ritchie, 2001; Lin & Bratton, 2015; Ray, Armstrong, Balkin, & Jayne, 2015). have found that the over-all treatment effect of play therapy ranges from moderate to high positive effects. Play therapy has proven equally effective across age, gender, and presenting problem. Additionally, positive treatment effects were found to be greatest when there was a parent actively involved in the child’s treatment. The play therapist will make some decisions about how and when to involve some or all members of the family in the play therapy. At a minimum, the therapist will want to communicate regularly with the child’s caretakers to develop a plan for resolving problems as they are identified and to monitor the progress of the treatment. Other options might include involving a) the parents or caretakers directly in the treatment by modifying how they interact with the child at home and b) the whole family in family play therapy (Guerney, 2000). Whatever the level of involvement of the family members, they typically play an important role in the child’s healing (Carey & Schaefer, 1994; Gil & Drewes, 2004). The practice of play therapy requires extensive specialized education, training, and experience. 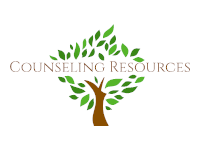 A play therapist is a licensed mental health professional who has earned a Master’s or Doctorate degree in a mental health field with considerable general clinical experience and supervision. The information displayed for the general public and mental health professionals in this section was initially crafted by JP Lilly, LCSW, RPT-S, Kevin O’Connor, PhD, RPT-S, and Teri Krull, LCSW, RPT-S and later revised in part by Charles Schaefer, PhD, RPT-S, Garry Landreth, EdD, LPC, RPT-S, and Dale-Elizabeth Pehrsson, EdD, LPC, RPT-S. Linked mental health conditions and concerns and behavioral disorders were drafted by Pehrsson and Karla Carmichael, PhD, LPC, RPT-S respectively. Research citations were compiled by Pehrsson and Oregon State University graduate assistant Mary Aguilera. Updated mental health classifications and reorganization were provided by Edward Franc Hudspeth, PhD, NCC, LPC-S, ACS, RPh, RPT-S. APT sincerely thanks these individuals for their contributions!